Anti-corruption protests are raging in Romania. Tens of thousands of people turned out in Bucharest to protest against the government’s moves to decriminalize a certain threshold of economic corruption, among other legislative initiatives that have drawn the public’s ire, showing that this year will probably be as full of massive demonstrations as the previous one was. Adding to the political turbulence is that the East Balkan country has just received its third Prime Minister in 12 months, and the underlying systemic problems plaguing the state suggest that it might see some more shakeups in the future. For all intents and purposes, Romania is in the throes of a prolonged crisis that has made it utterly dysfunctional, but instead of elaborating more on its multifaceted problems, it’s better to talk a bit about the larger implications of what’s happening and why the anti-corruption protests are such a big deal. To be blunt, Romanian political culture is corrupt, there’s no other way to say it, and almost anyone of significance is caught up in one way or another in this shadowy system. It might be morally outrageous for the government to want to decriminalize some corruption offenses, but there’s really no other way to stop the never-ending cycle of political tumult unless they “legalize” the small-time criminals and separate them from the big-time ones. The ideal solution would be for corruption to be entirely rooted out of the government, but then the entire Romanian state would probably collapse. As for uncorrupt individuals taking their place, it almost seems as though prospective politicians’ corrupt secrets aren’t revealed by their enemies until after they enter into office, after which their rivals hope to use it as blackmail or the catalyst for a “legal” regime change operation to oust them, possibly under foreign instructions. In the current context, the Romanian government does indeed desire to relatively “normalize” the situation in the country, but in order to do that, low-level corruption offenses need to be decriminalized in order to stop the regime change cycle and restore some element of stability to the state. It might not be fair, and the present authorities are far from perfect, but this is the only realistic way for Romania to move forward, no matter how much it upsets the public. These same protesters, however well-intentioned they may be, are being manipulated by the political opposition and allied “NGO” groups who want to see the “musical chair” system indefinitely perpetuated because its short-term results stand to benefit their interests, until, of course, they end up falling for the very same anti-corruption reasons. 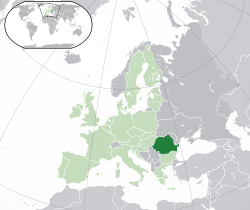 The bigger picture is that Romania is perfectly suited in the geographic and demographic senses to function as a powerful pillar of the Polish-led “Three Seas Initiative”, provided of course that it can stabilize its domestic situation first, meaning that Bucharest’s reforms are a painful prerequisite for assembling a solid EuroRealist reform bloc in the continent and that its opponents can be surmised to be the same EuroLiberals who stand to lose if this happens.